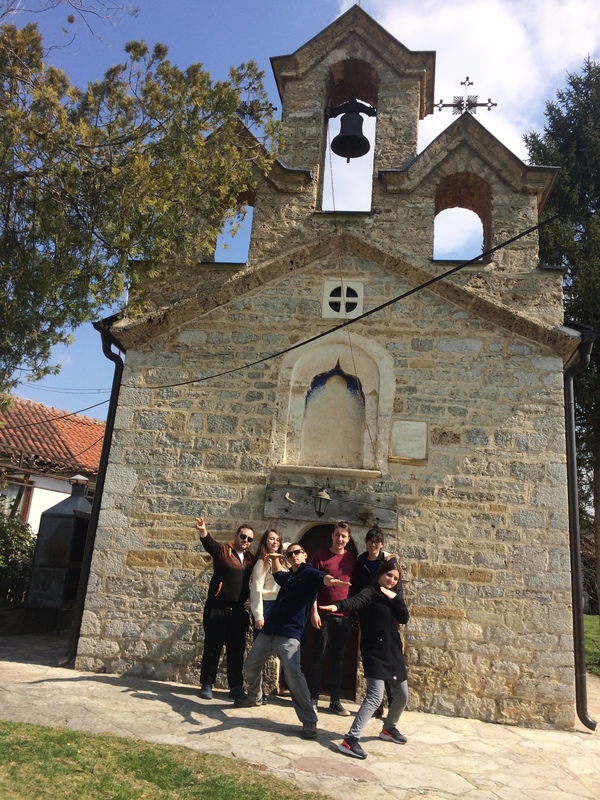 From 13th of march till 23rd of march, 30 young people from Kosovo, Serbia, Bulgaria, Macedonia, Greece and Germany gather in the small village Velika Hoča/Hoca e Madhe, located next to the city of Rahovec/Orahovac in Kosovo. We learn, exchange and share about myths, legends and stories that accompany us through our socialisation and explore their role in our lives. Living together with people from the local community of Velika Hoča we also learn through direct exchange about the historical and present stories of the village. Velika Hoča gathers 600 people and 13 Orthodox churc hes from the early Medieval times. Wineyards are surrounding the village. The production of this divine liquid is a tradition kept since Medieval times- according to a legend at those times gathering so many people in this valley, that Golema Oča’s roofs reached till the city of Prizren, so a cat could walk from one city to the others jumping from roof to roof. We also explored the stories of Dečani and Pećka Partiarha Monastries and experienced the welcoming hostability of the monks and sisters with some good monastery-made Rakija and whine. This is the Saraj House. Here we come together for meetings and sessions. The word ‘saraj’ comes from turkish language and means ‘palace’. 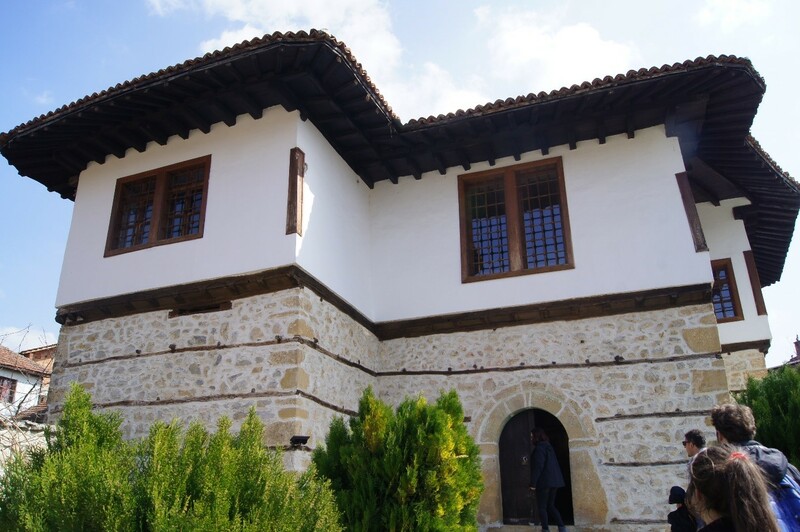 It was built during Ottoman rule of the area. Today the building hosts a small museum – and for these ten days us. In today’s morning session, Shkëlzen Gashi presented to us his report “The History Kosovo in the history textbooks of Kosovo, Albania, Serbia, Montenegro and Macedonia”. He assembled different representations of the history of Kosovo during different periods, which at the same time reveal falsifications and biases of each party. You can find an online version of his book here. The weather was really nice today, so we couldn’t help it but have our afternoon session outside. Some were very determined with the tasks. In our free time we sometimes hang around with the locals. Bojan, the cool Kafana (coffeeshop) owner, says of himself that he is a legend and makes the best and only Espresso in the village.